Without fosters, we have to turn away equines that are abused and neglected. PER will reimburse for all expenses, so you only have to provide the space and TLC or you can donate the cost of care and claim a write off on your taxes. Please open your home and your heart & consider fostering to make space for another equine with Panhandle Equine Rescue! One of the most important things you can do for PER is to provide a temporary home for a horse in need–a foster home. When we are suddenly faced with taking on horses that are in trouble, just the logistics of where to place the equines–who often are malnourished–becomes a serious issue. 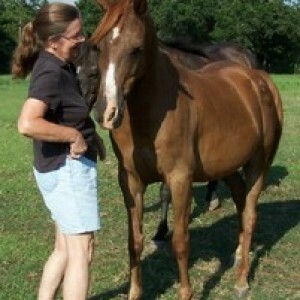 Without available foster homes, PER would be unable to help many horses in need. Foster homes offer a place of refuge for an equine, a place where food and love abound, until an appropriate adoptive home can be found. PER acknowledges the cost that homes incur while caring for a horse. So we REIMBURSE FOR ALL EXPENSES. All you have to do is offer a place in your pasture with shelter and safe fencing (no barbed wire) and have a basic knowledge of how to care for a horse. You provide the TLC and get the enjoyment of having a horse to nurture and love. Often the best thing these rescued horses need is to see that human beings can be kind. A gentle touch, a few treats, some soft words, can do wonders for a horse whose spirit has been broken. And the reward of fostering a horse is ENORMOUS. Seeing a horse come alive with you, seeing his body fill out and his coat start to shine, seeing the look of gratitude in his eyes–there is nothing like it. One of our staff will then contact you for an interview over the phone and set up a time to drop by and inspect your place. 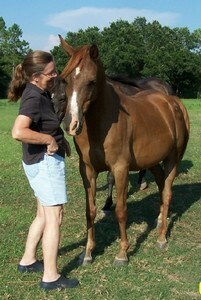 In the event you can no longer care for the equine, he comes back to PER to hopefully be placed into foster care again.